Discover Mexico Park Cozumel is proud to partner with Zacatecas State Tourism Secretary and the Handcrafts’ Development Zacatecas Secretary and have Zacatecas State highlighted all around the park from December 15, 2018 through April 21, 2019. This important partnership would not have been possible without the support of various Zacatecas government representatives: Xerardo Ortíz, Interior Commerce Director. Rosy Elvira Campos Sub Secretary of Handcrafts development. Carlos Fernando Barcena Pous, Economy Secretary. Eduardo Yarto, Tourism Secretary and Alejandro Tello, Governor of Zacatecas. 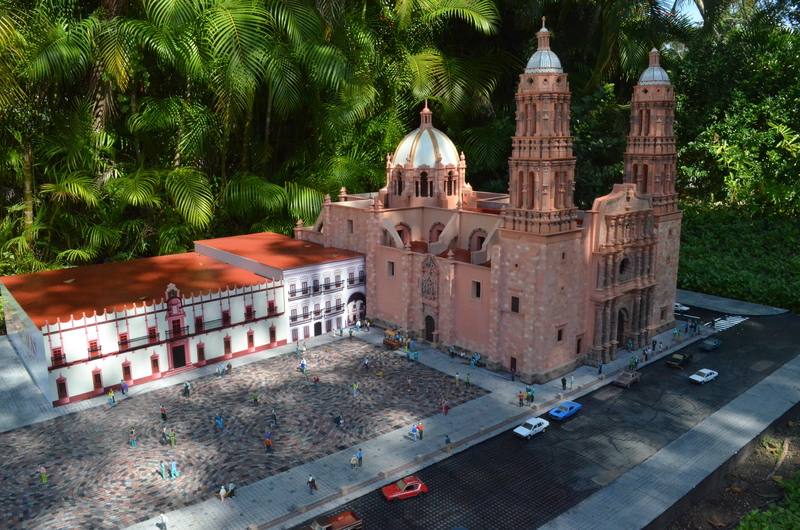 “Dazzling Zacatecas” will delight all of your senses and will feature the following: Original Zacatecas Traditional popular arts, delicious authentic Zacatecas food and a revamped diorama of the renowned Zacatecas Cathedral. Additionally, two new amazing popular art pieces have been added to our Museum of Mexican Traditional arts: A Cantera stone made cross and a wool woven poncho. Both being fine examples of Zacatecas’ artisans’ artistry. We were fortunate to host Zacatecas’ Governor, Mr. Alejandro Tello, for the opening of these additions on October 30th, 2018. Discover Mexico Park Cozumel will be hosting a Tourist Information Booth highlighting Zacatecas, so you can learn more about it and start planning a trip to Mexico’s “Silver heart” state at once. Dazzling Zacatecas at Discover Mexico Park is an experience you don’t want to miss!